Today and yesterday I got nice reply from Radio Piú from Belluno, North Italy. Belluno is very rare to receive here in Finland. 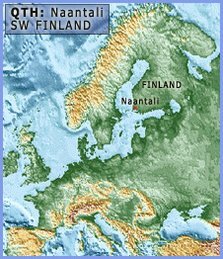 I think the reason for that is the high mountains to Finland direction (North). 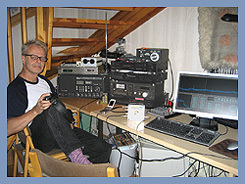 However, luckily some transmitters find their ways to ionosphere beside mountains. 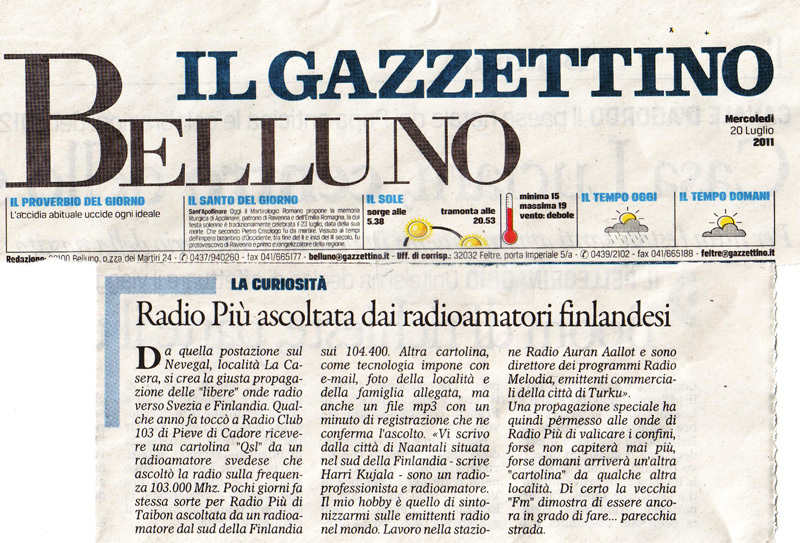 On the 13th of July I heard commercials to Belluno on 104.4 MHz. I found that this station could be Radio Piú. I wrote e-mail to the station, and they kindly confirmed my recording. 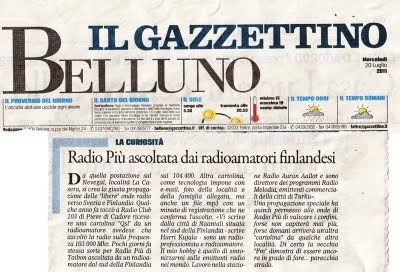 Some journalists at Radio Piú are also working for local newspaper, Il Gazzettino Belluno, so jornalist Mirko made an article of my distant reception.